The Tigers have been building toward something bigger for two seasons under Shane Mobley, and have been sterling so far in 2018. It won’t be long before Sealy’s Garret Zaskoda takes the field as a member of the Rice baseball team. Zaskoda, who last year committed to the Owls, is one of the top baseball prospects in the state. But as good as he is on the diamond, Zaskoda is also a star quarterback. He’s thrown for 1,242 yards and 16 touchdowns through six games this season, leading Sealy to a perfect 6-0 start under second-year head coach Shane Mobley. 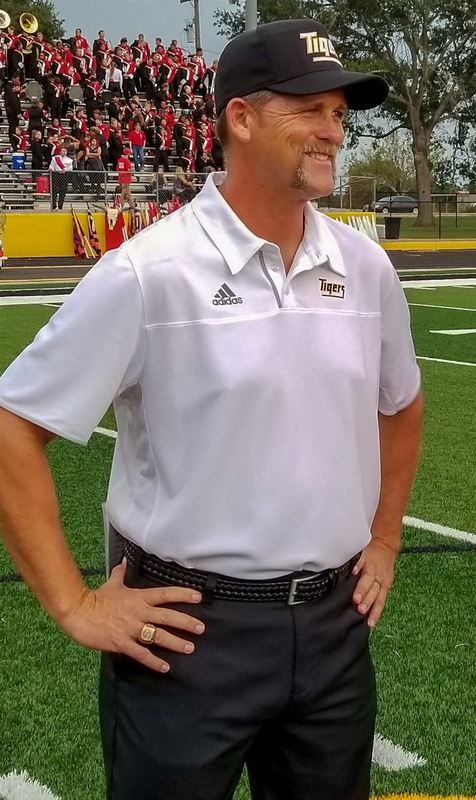 Mobley, who took over at Sealy prior to last season after leading Sweetwater to the Class 4A Division II state title game in 2016, guided the Tigers to a 6-5 record in his first year as the team fell to a talented Henderson squad in the area round of the playoffs. The six wins last year doubled Sealy’s total from the 2016 season, when the program finished 3-7 and missed the playoffs for the first time since 2013. With 11 starters back from the team that began the turnaround under Mobley, and an influx of talent from a 9-0 JV team, the Tigers knew they had the potential to make some noise in 4A Division I. Zaskoda has helped the team live up to those expectations, as Sealy has outscored its first six opponents by an average of nearly 25 points per game. “We did have high expectations coming into the season,” Mobley said. “We wanted to be more competitive and play with more of an edge, and that’s exactly what these young men are doing right now." The Tigers opened the season with a win over Wharton before cruising past Navasota, Waller, Bellville, Fulshear and Brazosport. After falling to Brazosport 54-48 last year, Sealy took care of business against the Exporters two weeks ago in a 40-14 finish. The win over Bellville, one of the Tigers’ biggest rivals, was a big one for Sealy as well. After allowing the Brahmas to eat up more than 11 minutes of game clock to take a 3-0 lead on the opening possession, the Tigers scored 26 unanswered points to pull away and claim the victory. While the team’s offensive success thus far is due in large part to the Tigers’ success throwing the ball, Zaskoda also helps create space in the running game by spreading the defense out. Senior Ivan Bolden has already rushed for 912 yards and 11 touchdowns on just 95 carries, and he finished with 296 yards and four touchdowns in the win over Brazosport two weeks ago. On the perimeter of the offense, Clay Roberts has 32 catches for 470 yards and 10 touchdowns while Draper Parker has 32 catches for 284 yards and two scores. Bolden, AJ Mcgee and Isaac Washington each have at least 10 catches on the season for a combined 448 yards and three TDs. Garrett Redden (75 tackles, seven hurries, six TFL, two sacks), Hunter Clark (53 tackles, six TFL), Derek Bollinger (33 tackles, four sacks, three hurries) and Luke Thielemann (30 tackles) have led the way for the defense in the front seven while cornerback Matt Lord has allowed just two receptions to opposing receivers in the secondary. 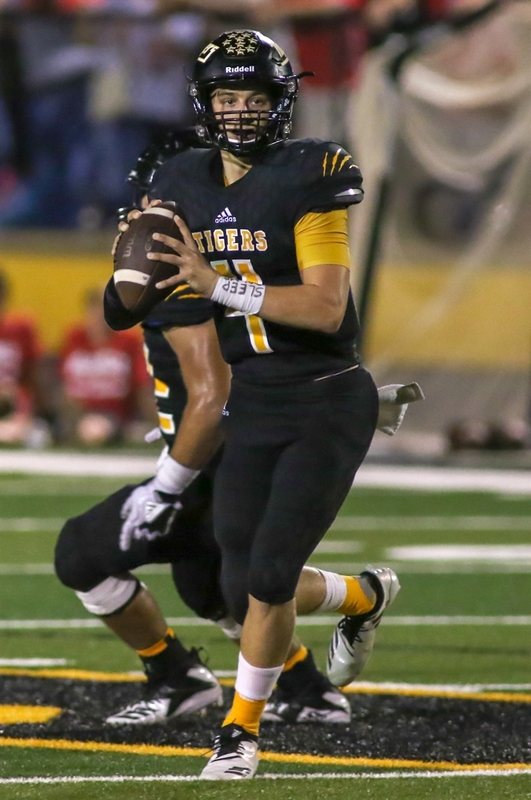 After having an open week last week, the Tigers return to action at 7:30 p.m. Friday night against El Campo. Sealy is the only undefeated team in District 13-4A but still has matchups against Needville, Bay City and Columbia to close the regular season. The Tigers enter the week ranked No. 7 in Class 4A Division Iand are projected to win their last four games by at least 10 points each.